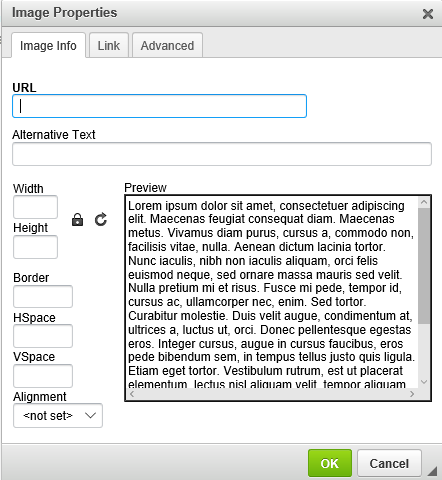 By default, CKEditor's image dialog box does not display the Upload tab. In your /ckeditor/plugins/image/dialogs/image.js file, remove the exclamation mark from filebrowserImageBrowseLinkURL and Upload. 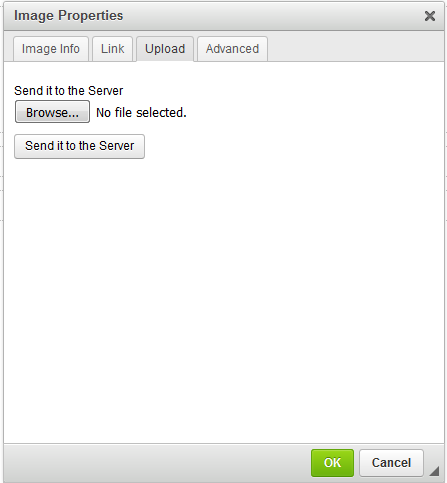 Now the Image Properties dialog box will include an Upload tab. In your /ckeditor/config.js file, add the following line, using the actual path to the script that will upload the image files to your web server. 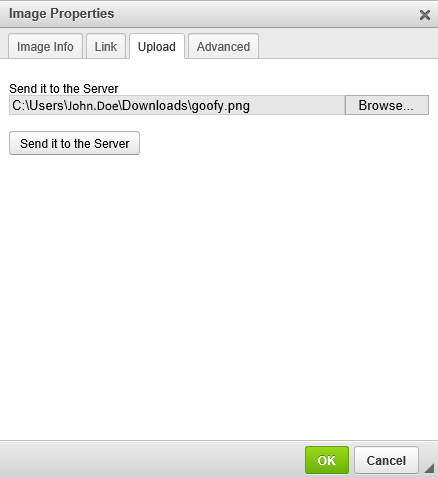 On the Upload tab, select Browse and then select an image file. In this example, an image of Goofy is selected. Select Send it to the Server. 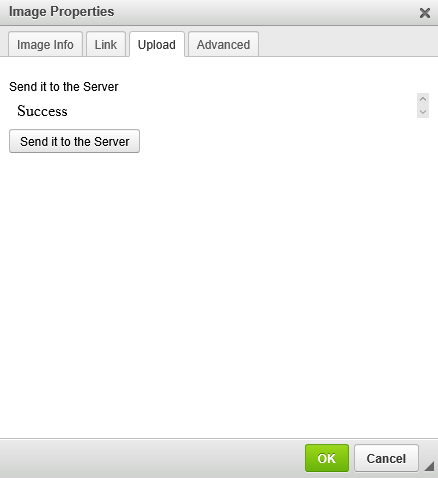 In this example, the script that will upload the image files to your web server displays Success after the image is uploaded. 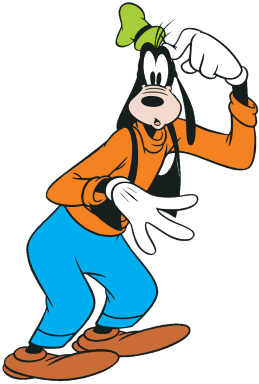 In this example, the image of Goofy was uploaded.